You are spoilt for choice with places to eat in Anstruther. With a variety of restaurants and cafes, you will be sure to find something that makes your taste buds tingle with delight. Fife is rich in local produce, you can sample locally grown fruits and berries, fish, buffalo and much more. 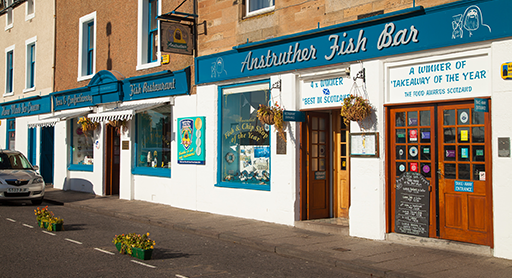 If you are looking for places to eat in Anstruther, the Anstruther Fish Bar is an award winning family run fish bar situated on the harbour front. It provides an ideal setting for you to sit down, eat your chips and be close to where your food was locally sourced. If it is a rainy day and you would rather stay dry, you can choose to dine in the restaurant which offers spectacular views over the Firth of Forth. And whats more Prince William himself is among the array of customers to sample the delights here. Fishing has been in the Smith family for generations and can be traced back to as early as the 1600’s. In 1981 Robert Smith and his wife Alison set up a fish processing business called Argofish. In 2003 the Anstruther Fish bar was opened. Argofish supply all the fish to the shop allowing the whole process from sourcing, prepping and cooking to be within control of the family. This ensures high quality from beginning to end – hence the awards! The Fish bar is open 7 days a week. The restaurant is open from 11.30am – 9.30pm and the takeaway is open from 11-30am- 10pm. 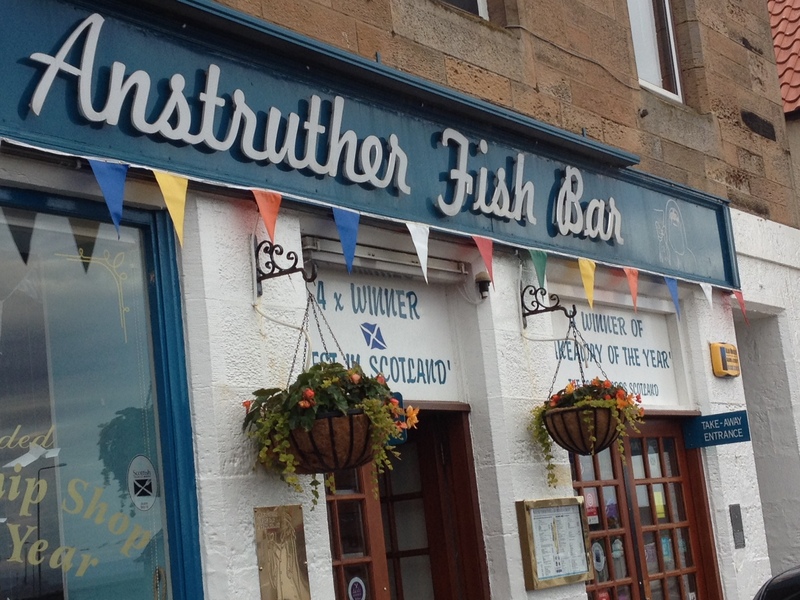 So what are you waiting for… follow in royalties footsteps when looking for places to eat in Fife and come along to the award winning Anstruther Fish Bar.